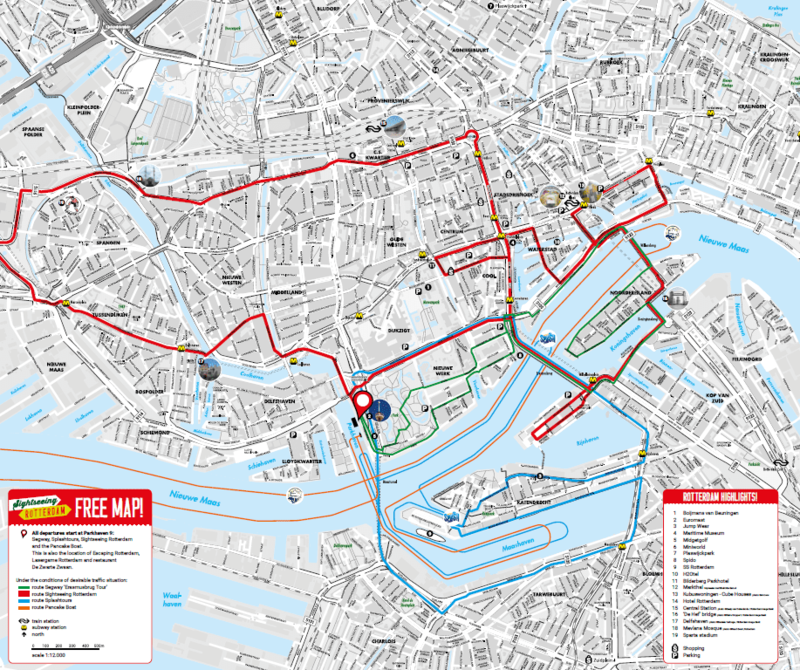 The route of Sightseeing Rotterdam has been composed with utmost care allowing passengers to get the best of Rotterdam. All tours start and end at the Parkhaven 9, opposite the Euromast (navigational address: Parkhaven 20), accross the schip ‘De Zwarte Zwaan’. The image will be bigger when clicking on it.